I still have protein powder in my pantry, and no intention of ever drinking it. So I made more protein powder muffins this week, this time gluten-free. I used millet and buckwheat, the latter of which gives the muffins a hearty, whole-wheat-like flavor. I ground my own millet flour and left some of it coarse for texture. If you don’t have protein powder, replace the ½ cup in the recipe with ¼ cup tablespoons + 1 tablespoon of a flour of your choice, two tablespoons sugar or xylitol, and two tablespoons cocoa powder. Mix pureed carrots, oil, vanilla, and yogurt. Mix together flours, cocoa, whey powder, baking soda, and salt. Gradually stir in the wet ingredients until smooth-ish. Stir in chocolate pieces, if using. Bake at 350°F for 17 minutes, or until the tops are firm and inserted toothpick comes out clean. 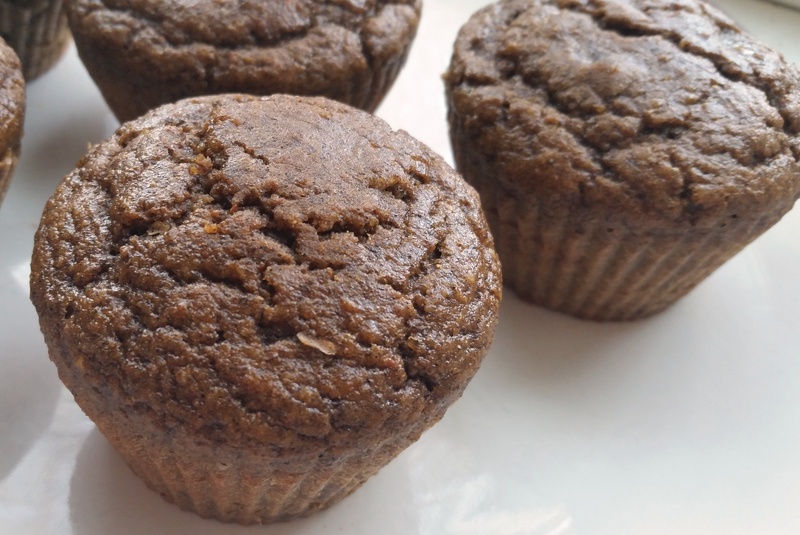 Hi Kathryn good to see another muffin recipe - I too have some whey powder that won't be used as we've actually started to cut back our protein intake - but I'm sure a dash or so in muffins is a good idea!